We have many ideas about Africa, which are often incorrect or just half-truthful. For example, one of the most common is that only very hot weather is there, but people are skiing in some areas of Africa – the snowy Atlas Mountains in the north or the beautiful Dragensberg in the south. We don´t must go for the cold weather just to the mountains. 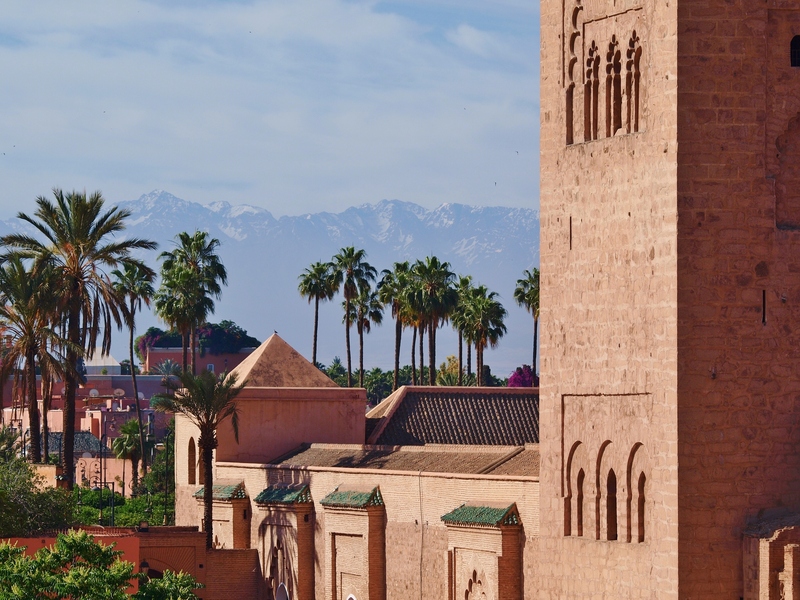 Moroccan Marrakesh with the snowy mountains of the High Atlas. Sahara is just behind these snowy mountains. 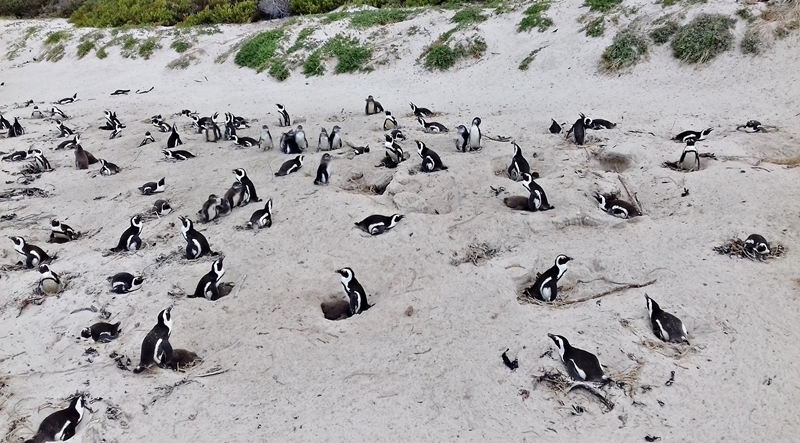 We were cold even in sweatshirts in the center of Madagascar or in the Cape Peninsula where penguins ran around us. Did you see Europeans from the mountains in the winter jackets in Sahara? I did. Elegant who weighs more than 200 kilograms with beautiful dense mane, large paws and dangerous fangs. 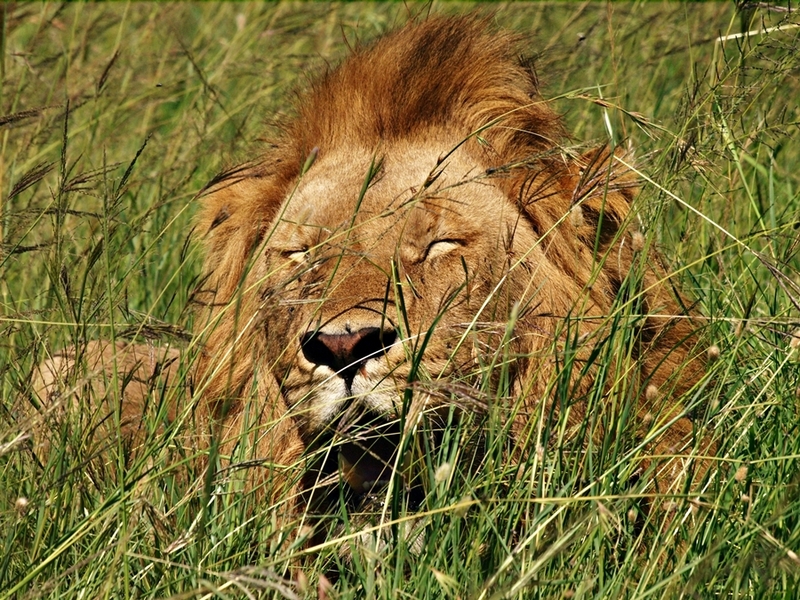 I’m not surprised that this cool cat has the nickname „the king of animals“ or „the king of the jungle.“ The looking of it is truly stunning, even if you saw it several times, but the truth is that the lion is not the king. There are animals in front of which even the largest lion goes quickly away. 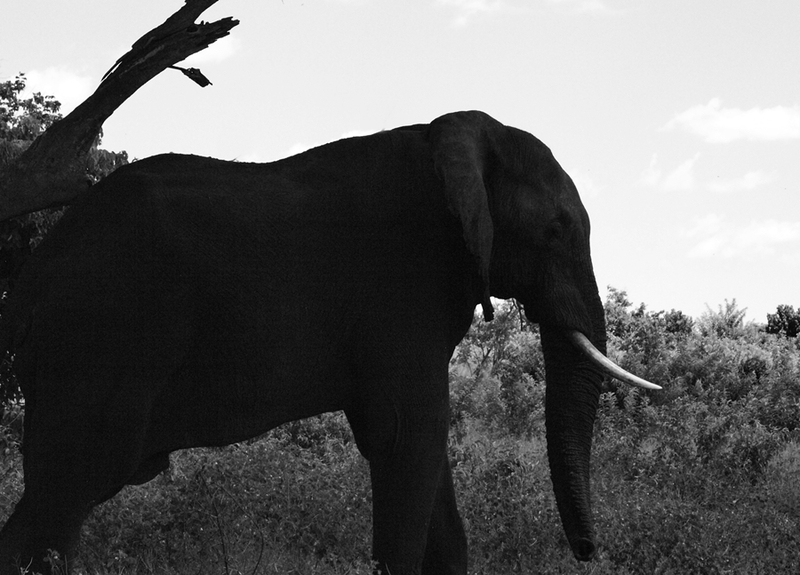 At the head of the African hierarchy of animals are elephants. Hippos and rhinoceros compete for silver. Only a complete madman would stand against a several tons of weighing giant (elephant) or more than an one ton of weighing tank (hippo and rhinoceros). 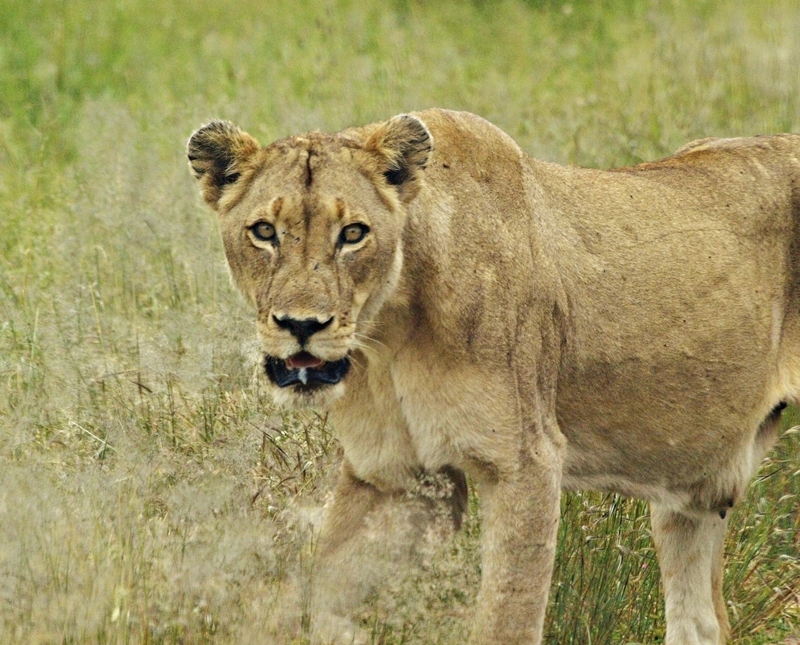 The lion is simply a small rival for these animals. Many experts claim that the African buffalo is in front of the lion in the wilderness hierarchy too. 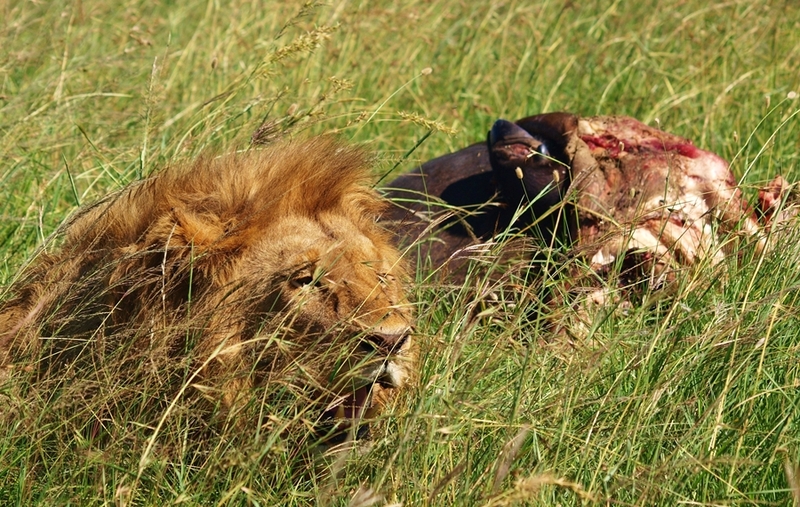 African buffalo is a lion´s food, but it’s because of the attacks of several lions against one buffalo. This object is also a quite problem for lion group and not just for one lion. Battles between lions and buffalos are my favorite. When other buffalos come to help the one bufallo, lions are lost. The African buffallo is also a different weight category than the lion. The lion and the African buffalo. Or better to say: the rest of the African buffalo. It did not have a chance against 4 lion brothers. Hyenas do not stand before the lions in the hierarchy, but they can also chase them away. 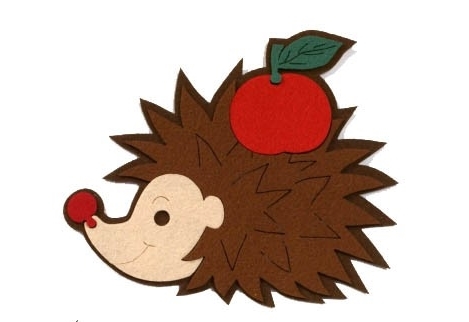 They are smaller than „the king,“ but they can compensate it by their numbers, so they can take a lion’s food. 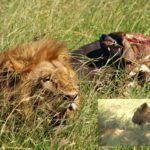 „The king of animals“ lose a dinner because of the smiling hyenas. By the way, I also have more respect for elephants and hippos than for lions. 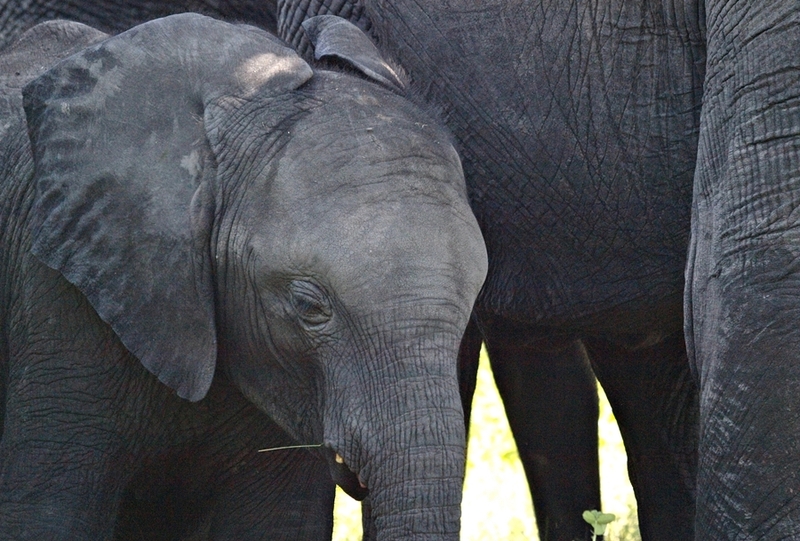 The elephant has a tissue on it´s soles that act as a shock absorber during walking. It’s like walking with pillows on your feet. 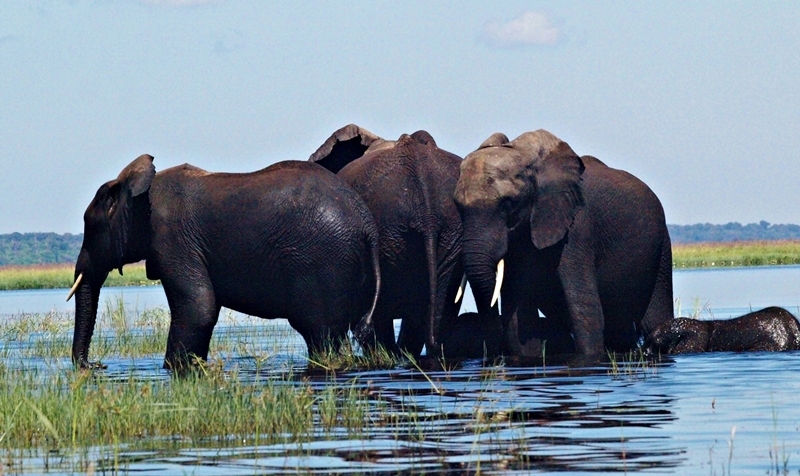 Elephants in the Chobe National Park, Botswana. 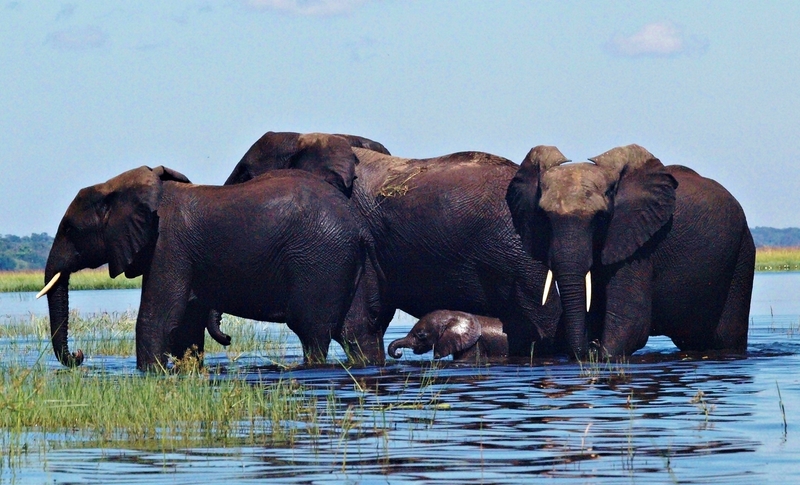 Here is the highest concentration of African elephants in the world. We remain with the elephants. Elephant cemeteries are known for centuries. According to this myth, when the elephant feels it is dying, it goes to the place where his relatives died before and it also dies there. So elephants have their own cemeteries. People explain in this way the places where they found piles of elephant bones. This phenomenon also has a more rational explanation than the elephant wants to die at a family cemetery. The pile of elephant bones is sometimes the result of the work of poachers. They simply killed an elephant family in that place. So the elephants didn´t choose this place for own death. Worn elephant teeth are another reason for „elephant cemeteries.“ When one of it´s four molars (type of tooth) falls out, that is important for crushing plant food, a new one will appear. But this cycle can only be repeated 6 times. Then the elephant begins to die because of hunger. When this time comes and the elephant can not eat any more, it tries to find places with soft grass and mud, in which, according to some experts, the elephant softens the pain of teeth by soaking. So it is possible that we can find the bones of several elephants in one and the same place where they simply came because of their worn teeth. It’s quite cruel death. 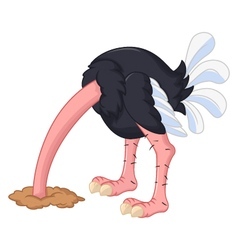 It may look from a distance that the ostrich has it´s head in the sand, but it just look into it´s pit where the ostrich has eggs. Why would it do it and how would it breathe with it´s head in the sand? 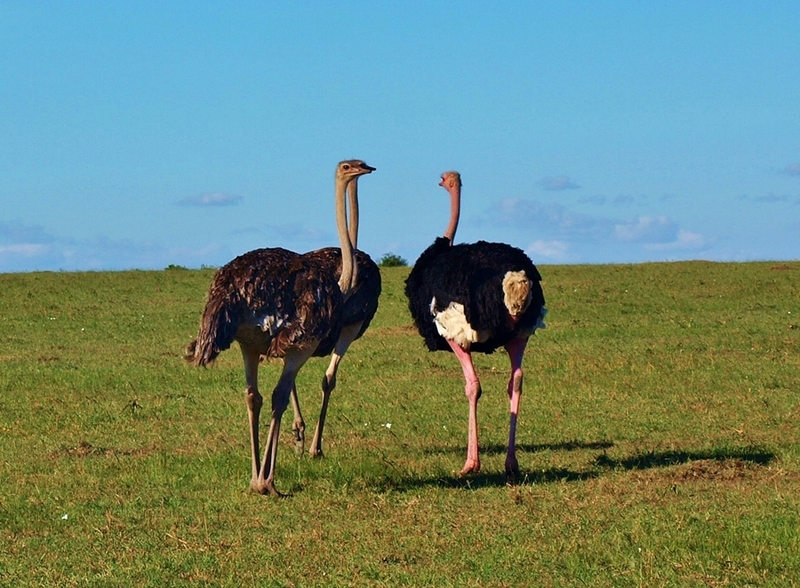 Ostrichs in Masai Mara National Park, Kenya. Black is male. Browns are females. African most dangerous mammal that kills hundreds of people every year. Since it is the animal that spends most of the day in the water, many people think that it is a very good swimmer. Videos on the internet where is a hippo, that is somewhere near the shore and within a few seconds near a boat, support this myth. Defining hippo move in water as swimming is very exaggerated. The hippo doesn´t swim. It only rebounds with it´s legs from the bottom of the river. Basically, it runs along the bottom of the river. It can move in this way very fast in the water. And it’s not fast only in the water, but running away from it is a big problem even on land. It is very aggressive fat that can run well. 6. Cheetah as the fastest animal on this planet? 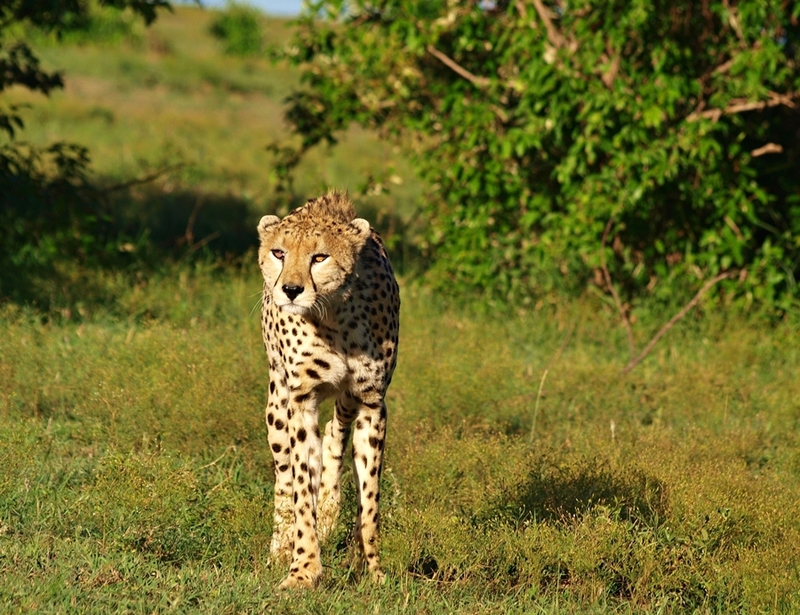 When we talk about speed, we must mention the cheetah, my favorite African cat. It can run at a speed of about 110 km/h. 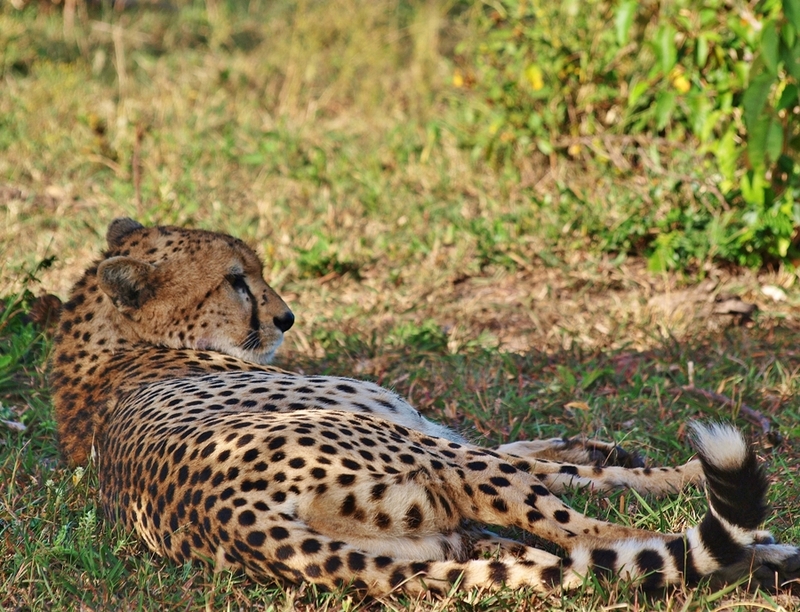 Many people consider the cheetah as the fastest animal on this planet. But some people have a quite different opinion. The peregrine falcon is also considered as the fastest animal of this planet. It can reach a speed of up to 390 km/h during it´s fall to down. But the fall to down is not a run or a horizontal flight. So many people, including me, do not consider the peregrine falcon as the fastest animal of this planet. But the speed is really admirable. But for example, the common swift, that living alternately in our country and in Africa, can also fly at a speed of about 110 km/h and even horizontally. That’s the speed the cheetah can run. One kind of American bats, so mammals, can supposed fly at a speed of up to 160 k /h. And the black marlin can swim at a speed of almost 130 km/h in the water. And yet another species of mites is the fastest animal of this planet too. If it had a size like us, it would move at a speed of more than 2000 km/h. So we also take into consideration the size of the animal. As you can see, the theme of the fastest animal is not so easy as we could think. The cheetah has competition among mammals, birds, fish and small animals, in air and in water too. We can safely say that no animal run faster on the land than it does. The Big Five is the naming of the five most dangerous animals in Africa, which were the most difficult to kill. Inaccurate shot often means the death of a hunter. Getting the heads of these five animals was a mission for experienced hunters. Today, every idiot with money can go hunting. 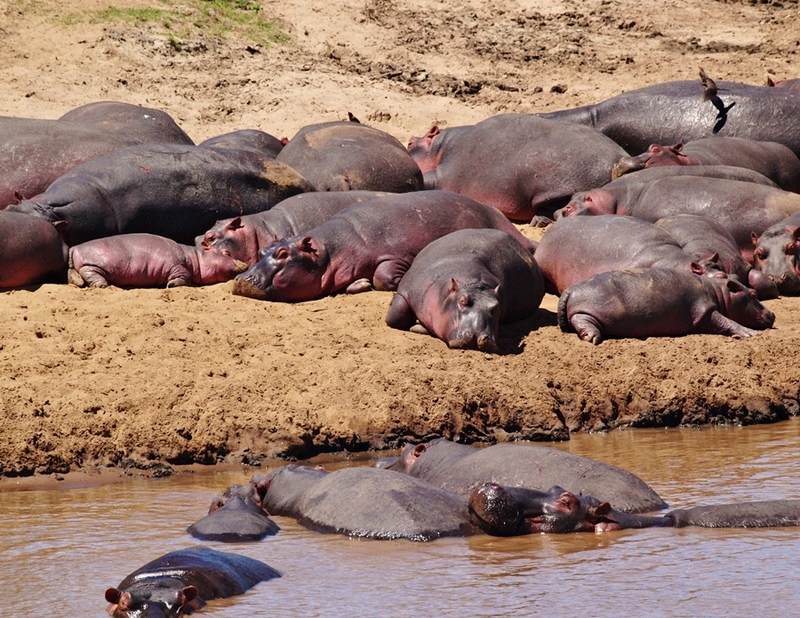 I have seen a few times that some sources mention the hippo as member of the Big Five. It replaces the leopard. 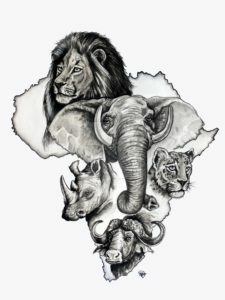 But most often, it’s the label for the lion, leopard, elephant, rhino and buffalo. I only have photos of white rhinoceros now. But they are out of the Big Five. 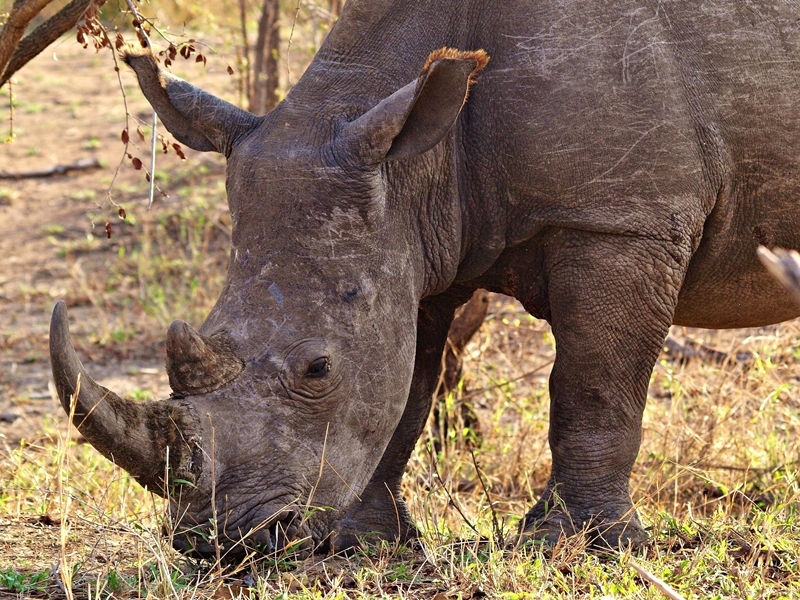 They are not so aggressive and dangerous as their relatives – black rhinos. Common people do not do the difference. 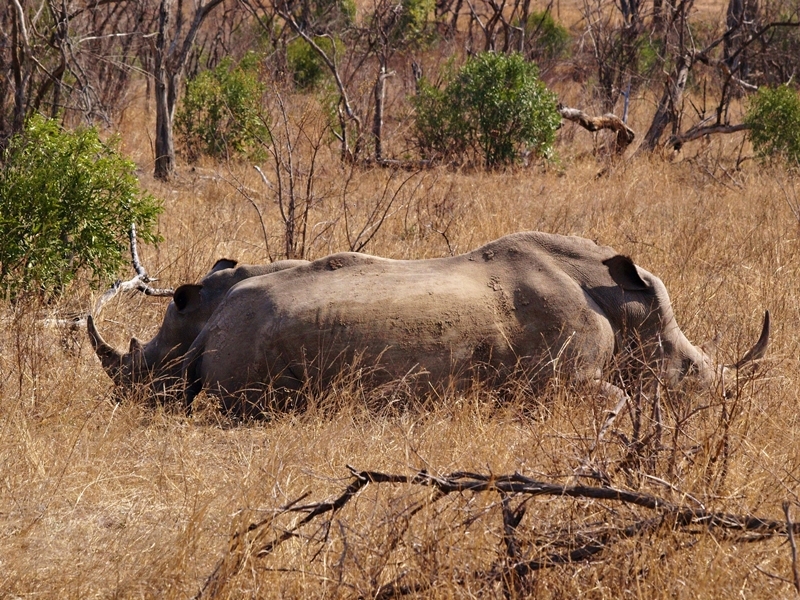 They saw a rhino = saw the member of the Big Five. The African buffalo. On the left, the male has linked horns. 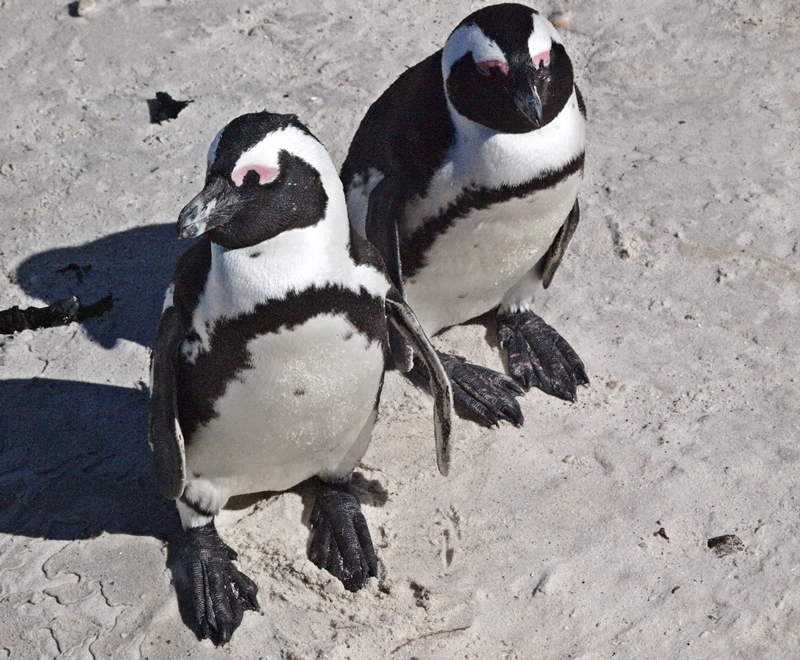 On the right, female with young. 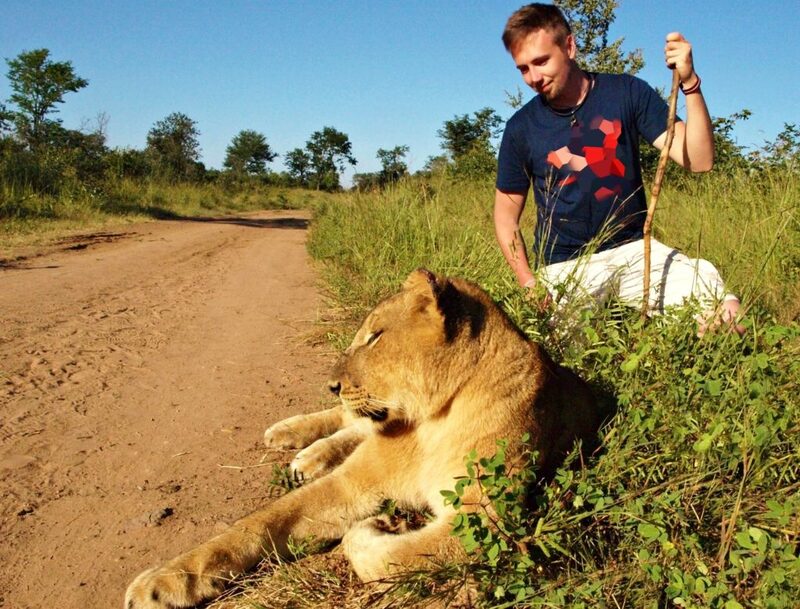 „And did you see that tiger in Africa?“ No, I did not. Tiger is Asian animal. Who wants to see it in the wild, so go to India, to Southeast Asia… or to Russia, where is the largest cat of this wolrd – the Siberian tiger. 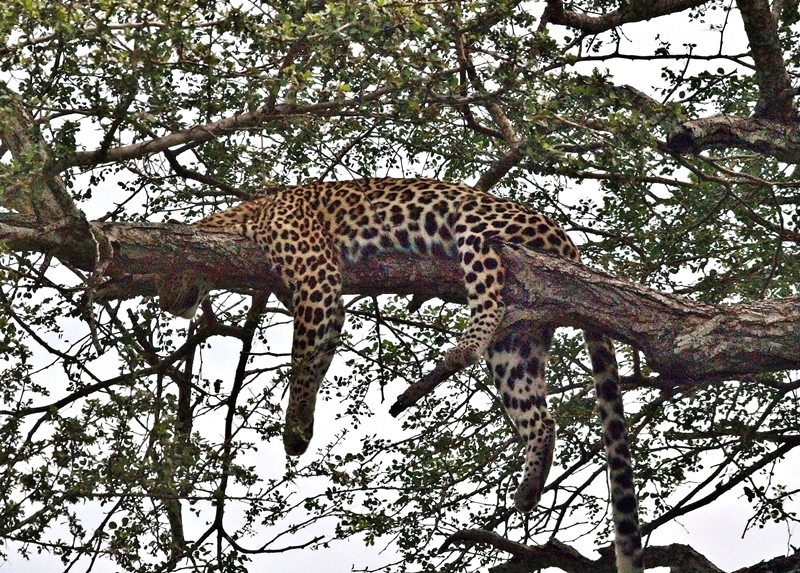 When we talk about cats, you can find „only“ the lion, leopard, cheetah, serval, caracal or African wildcat in Africa. Hmmm, ciekawe. Czekam na więcej.